2019 Applicants: Click Here to Apply Now! 2019 Therapeutic Summer Day Camp begins Monday, June 3rd. 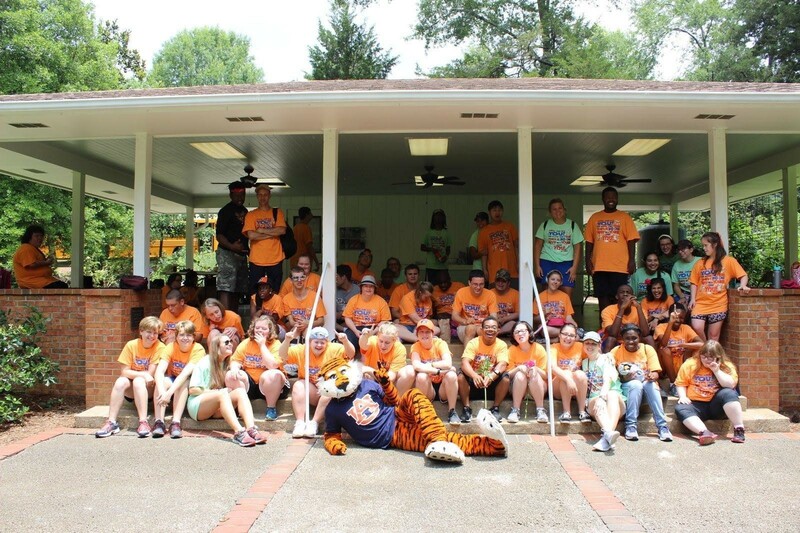 If you have any questions about the 2019 Therapeutic Summer Day Camp, please contact Elizabeth Kaufman at ekaufman@auburnalabama.org. Sponsored by Auburn Parks and Recreation & The Exceptional Outreach Organization. 2019 Camp Dates: June 3-28, *NO CAMP the week of July 1-5. * Camp resumes July 8-26. Interested in 2019 TR Camp? Fees*: $150.00 (Approx. $21.00 per week), each additional sibling $100.00. Make checks payable to the City of Auburn. Refunds will not be given after Friday, May 31st, 2019 for missed days/weeks during the Summer Camp program. *Fees include the following: Healthy snacks, most camp supplies and some field trips. Extra costs might include field trips or special activities. Some financial scholarships are available through the Exceptional Outreach Organization. Scholarship Application Forms are available at the Harris Center or you can download one here starting March 18th, 2019. All scholarship requests must be postmarked by May 3, 2019. Summer 2019 TR Camp runs from June 3-28 and from July 8-26, 2019. 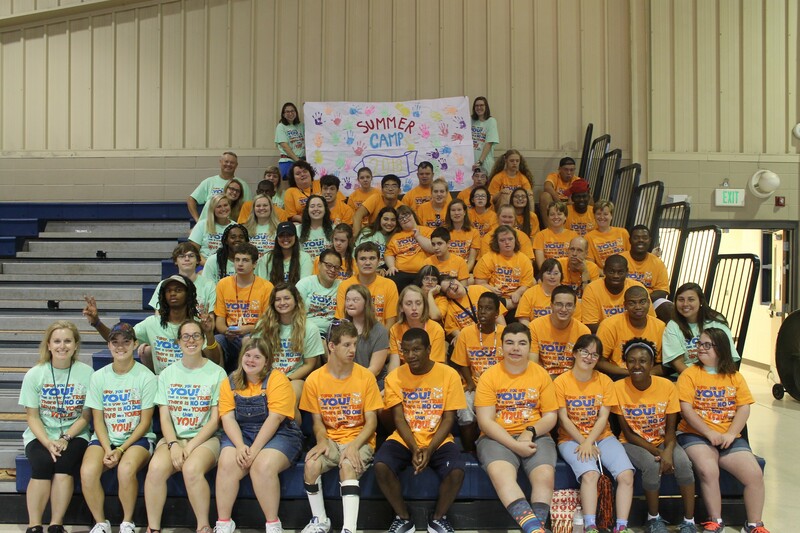 This is a seven week summer day camp designed for young adults with various disabilities (e.g., autism, cerebral palsy, down syndrome, intellectual disabilities, hearing impairments, vision impairments). 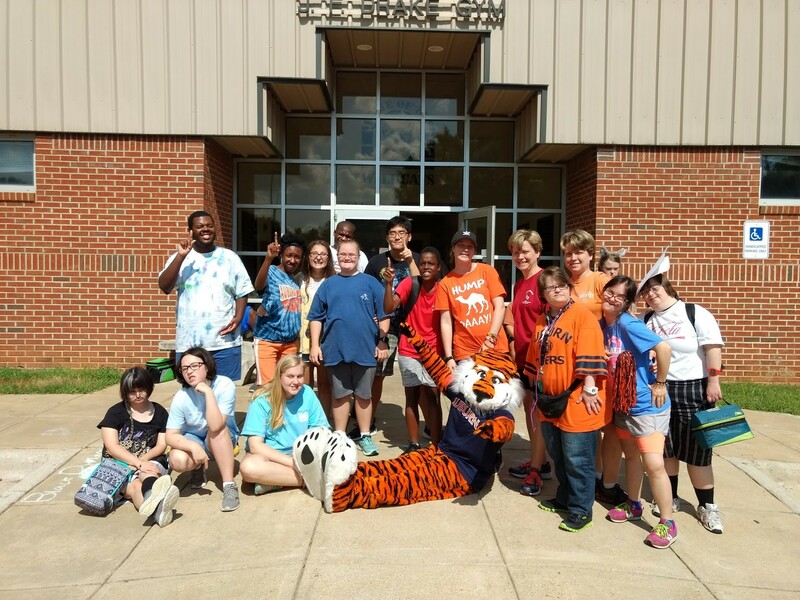 The Summer Camp is a joint project created and sponsored by Auburn Parks and Recreation and the Exceptional Outreach Organization. 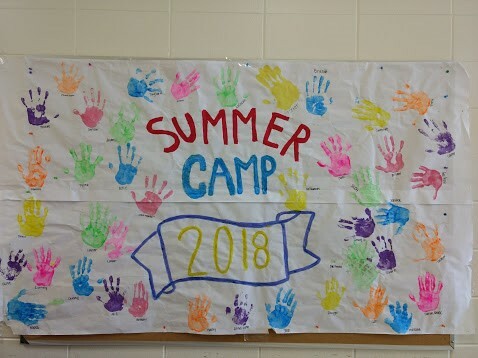 The Therapeutic Summer Camp's curriculum program includes life skills training, instructional training, team work, social skills, creative opportunities, swimming, and other physical recreation activities (e.g., basketball, bowling, volleyball, soccer). 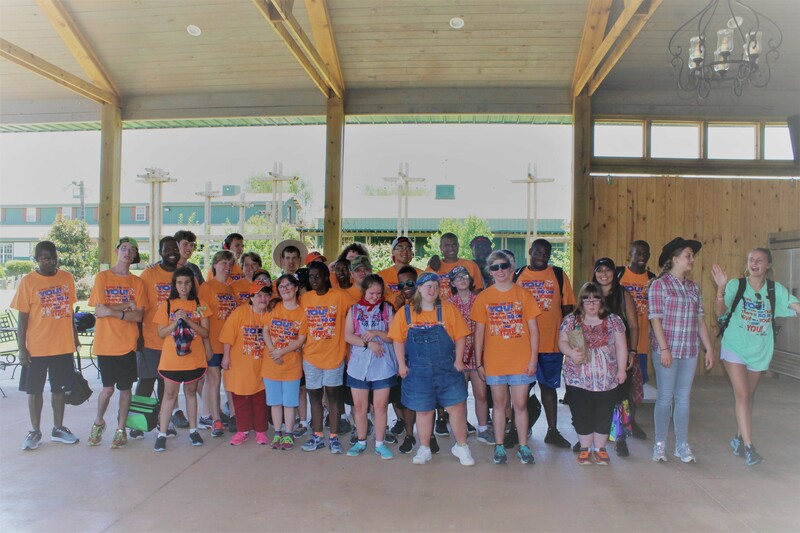 The campers also participate in fun outings such as the McWane Science Center, Montgomery Zoo, World of Coke, bowling, movies, and more! Campers must be high functioning, mentally disabled citizens who are 15 years and older. Campers must be toilet trained. Campers must dress appropriately - wear closed toe shoes even if not participating in some activities. Pool shoes and/or flip flops are only for swimming. All campers will be expected to have a positive attitude and be positive about themselves and others. Campers will be evaluated on an individual basis. Applications will be available on Monday, March 18th, 2019 and the application deadline is Friday, May 3, 2019 at 5 p.m. Applications can be downloaded here beginning March 18, 2019. All applications and registration fees must be turned in to the Harris Center by this date. If you have any questions, please contact Elizabeth Kaufman, Special Programs Coordinator, at (334) 501-2939 or ekaufman@auburnalabama.org. 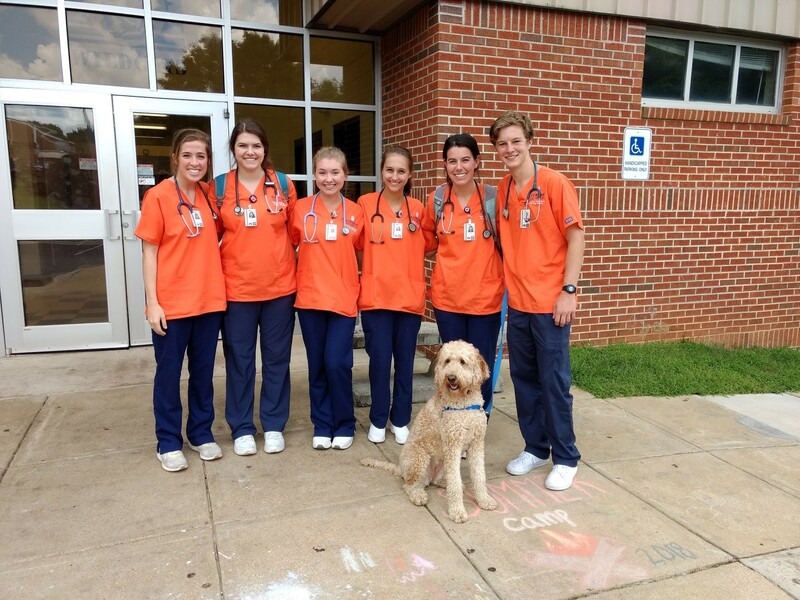 If you are interested in becoming a full or part-time Summer Camp Counselor for the 2019 Summer Therapeutic Camp, please have your application in no later than Friday, April 5th, 2019. Counselors are expected to supervise campers and participate in daily camp activities. Duties include preparing snacks, supervising all campers, interacting with campers during all activities, planning activities, such as arts and crafts and sports games, etc... All camp counselors must be punctual and reliable. Full-time counselors are preferred (40 hours a week), but part-time counselors (20 hours a week) will also be hired. Prior child care, camp counselor, or special education experience is a plus. Persons with or working toward a degree in Education, Rehabilitation and Special Education, Kinesiology or a related field are encouraged to apply. Persons with CPR, First Aid and/or Lifeguard Certification are also encouraged to apply. To Apply: Applicants should apply through the City of Auburn's website. Applicants should apply for the position of "Recreation Leader-Camp Counselor for Summer Therapeutic Camp". Once you have completed your online application via the City's website, please send an e-mail to Elizabeth Kaufman stating your interest and that you have completed your online application.